Can you believe its May already? I certainly can’t! Time is definitely going far too fast this year, which can also be said for this long weekend which is almost over already! 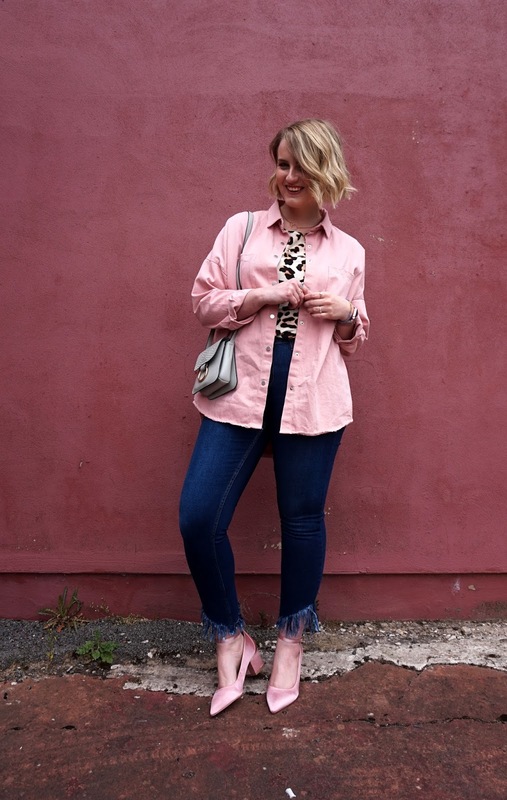 I’ve had a lovely couple of days, but today was by far my favourite as I dressed in the prettiest of pinks, ate Nandos, played (and lost) at ten pin bowling and to top things off, it did’t rain – hurrah! 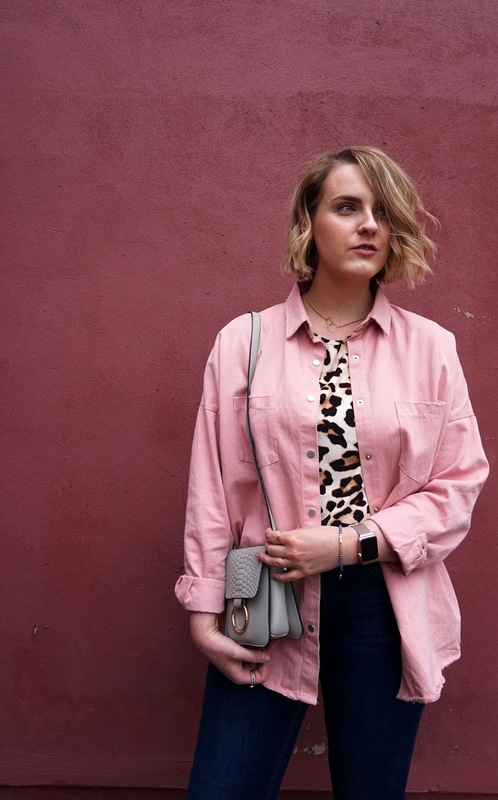 You’ll probably recognise this shirt from a recent outfit post, but I love it so much I just had to feature it again. 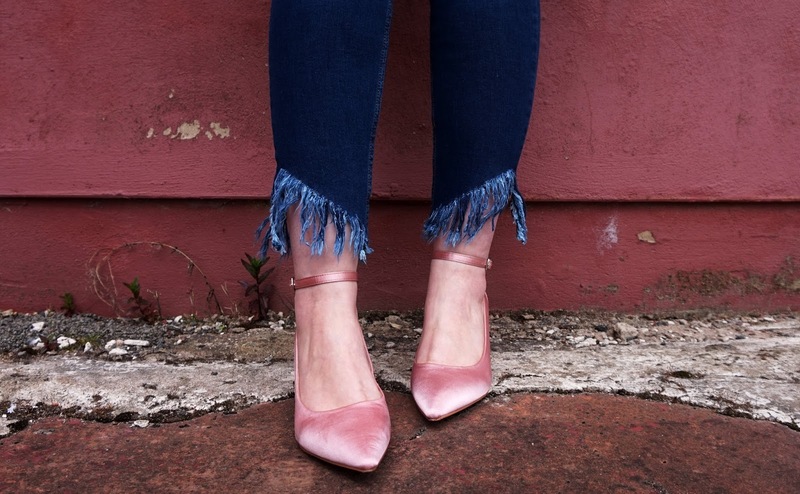 It’s the perfect match to my new satin pink pointed shoes from Very which are the dreamiest little things I’ve set eyes on, and the heel height is spot on for day-to-day wear. There are some very similar to this available in Primark in a faux suede if you wanted an alternative, but I love the subtle shine of the fabric on these for something a little different. 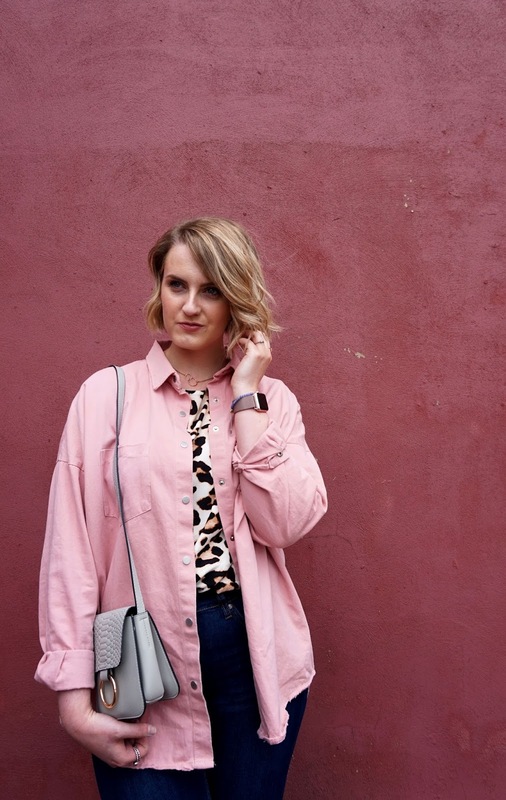 The leopard tee was kind of an impulse purchase last week, when I had to exchange something at H&M. I had no clue what to buy, then I remembered spotting this in another store and loved it. The fabric is more like that of a blouse than a typical cotton T shirt, which makes it more work appropriate. 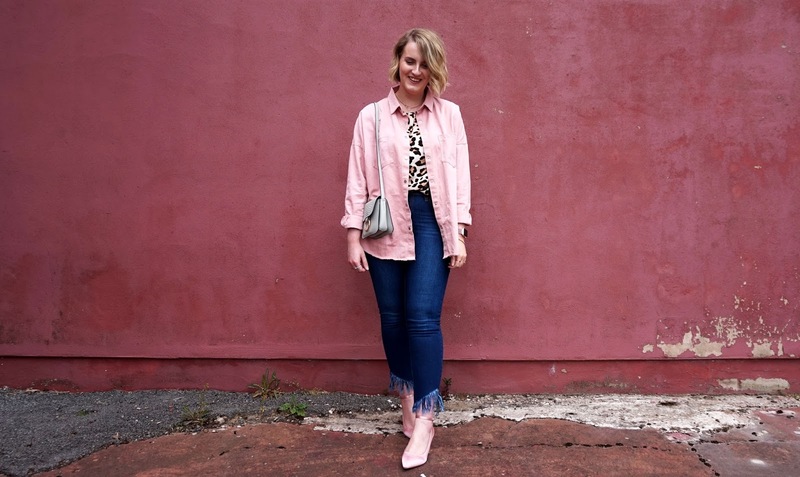 I can see it looking great tucked in to a pair of wide leg culottes with a pair of little loafers for the office, but today I wore it with my new Jenna frayed hem jeans from New Look. These are such a great fit and the wash is a really flattering colour on the legs. 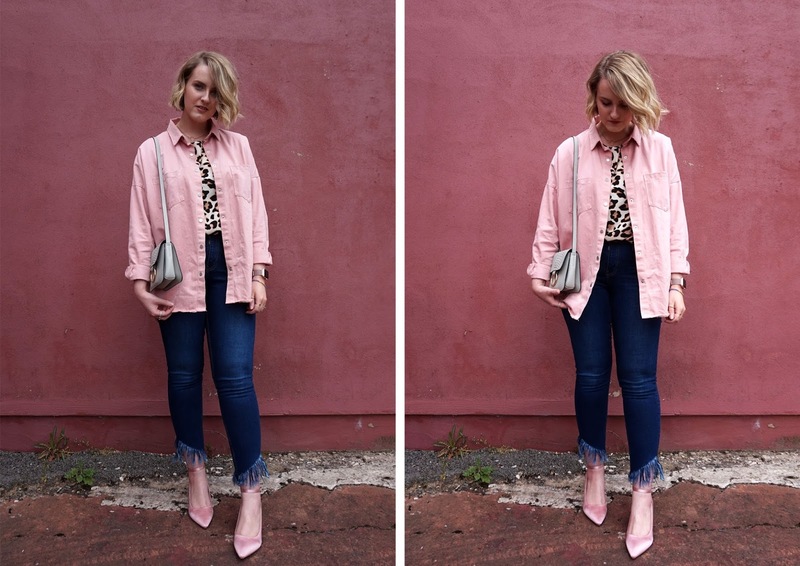 The frayed detail sits in the perfect place on me, which is a rarity when you’ve got short legs like I have! I can’t wait for more sunshine as they’d look so nice with some lace up gladiator style sandals or even sliders. Finally let’s talk about the jewellery. I am in LOVE with the adorable little semi-precious stone bracelet from Lola Rose. 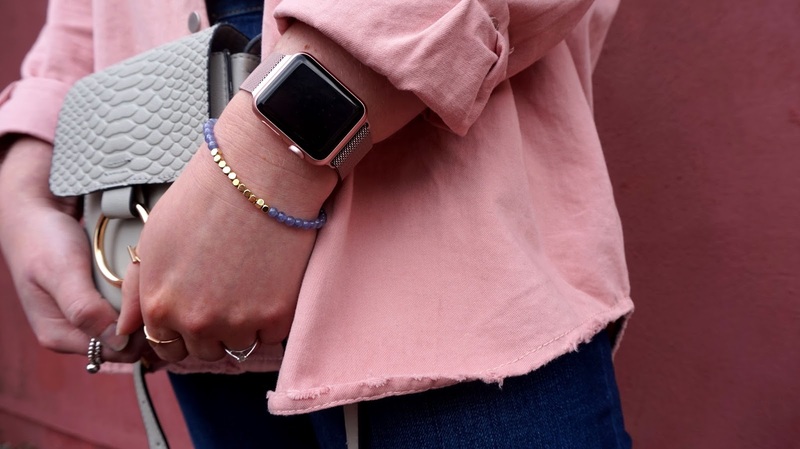 The lilac colour sits so well against my rose gold watch and compliments so many of the colours in my Spring wardrobe. I’m tempted to pick up another in a different colourway and wear them stacked together in either baby pink or mint green! Then there’s the sweet little necklace which I picked up in Primark for a couple of pounds, and the stacking rings, also from Primark, where part of a set and look so much more expensive than they were! I’ve had so many compliments on them when I’ve worn them so far, so I’d recommend having a look in your local store for them! How have you all spent your Bank Holiday weekends? I’d love to hear what you’ve been up to! 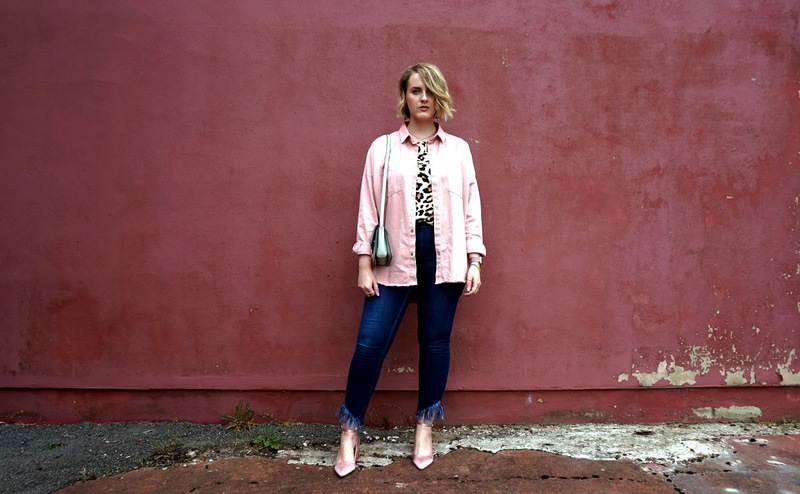 "HAS BLOGGING BECOME TOO COMPETITIVE?" "A NOTE ON BODY CONFIDENCE"